The Smurfscup Valley from September 26 was as awesome as always, so dont miss it tonight! 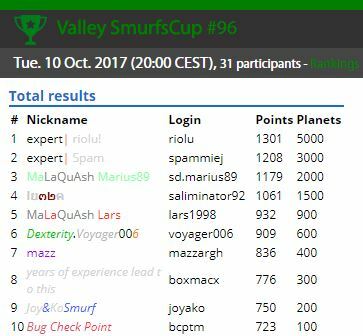 Hope to cu all tonight, Tuesday 10 October 2017 at 20.00 CEST for another nice edition of the Smurfscup Valley and have fun!! The Smurfscup Valley from October 10 was as awesome as always, so dont miss it tonight! 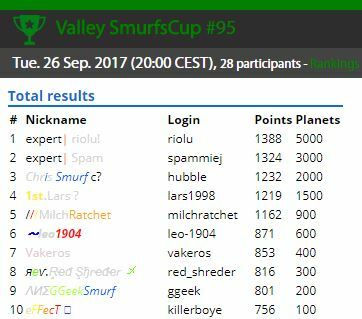 Hope to cu all tonight, Tuesday 24 October 2017 at 20.00 CEST for another nice edition of the Smurfscup Valley and have fun! !